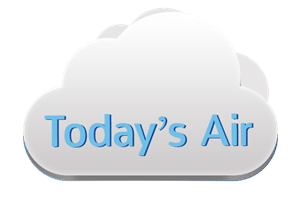 The Utah Indoor Clean Air Act was created by the Utah Legislature to protect Utahns and visitors to the state from the toxic effects of secondhand smoke. Secondhand smoke exposure is one of the leading causes of preventable death and disability in the U.S. and Utah today. In general, “Smoking is prohibited in all enclosed indoor places of public access and publicly owned buildings and offices,…” UC 26-38-3(1). The Act prohibits the use of electronic cigarettes and hookah in the same places as traditional tobacco is. Besides the statute, an administrative rule, Rule R392-510, has been promulgated for the Act. The Rule contains more operationally-oriented requirements in order to comply with the UICAA. Leaders, owners, managers, and supervisors of businesses, government agencies, and other organizations are required to comply with provisions of both the statute and the rule. Basic information sheet that discusses the basic provisions of the UICAA. Link to resource. 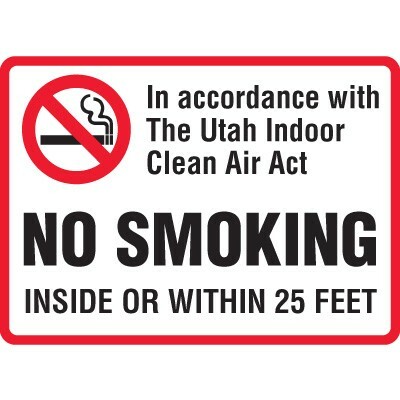 The samples listed in the link below are examples of how employers and building managers can meet sign requirements for the Utah Indoor Clean Air Act. Local sign or print shops should be able to customize signs that meet specific corporate requirements. To assure requirements are met, be sure to take a copy of the requirements listed in the Signs and Announcements page of the Business Guide. The Tobacco Prevention and Control Program has limited quantities of building signs and window clings available free of charge.